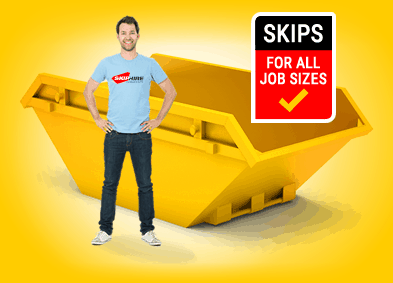 Skip Hire Company Gone Bust — Now What? 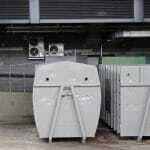 A skip is a huge rectangular metal bin that stores huge amounts of waste and disposable rubbish. You can hire a skip depending upon the amount of waste you will be producing. The bin comes with large hooks on each side of it which are used to attach the bin to the lorry. Accordingly skip hire companies are basically expensive trash removing services. Once you hire them, you are left with a large-sized container outside your premises, for a fixed period of time. These are mostly available on high rents and you use them especially when you have ongoing construction work or while you are moving premises. There are numerous factors which determine the cost of your skip hire. The size of the skip-bin ordered is the biggest of them. When hiring a skip, you are inquired about the amount of waste you will produce. The location is another factor in the business. For instance, the prices in London and South of England are more expensive, starting from £50-70 as compared to the skips in North England. It’s always better to hire a skip company after agreeing on a quoted price. You can recheck the same quote with other skip services as well. Once ordered, your skip is delivered to you in a truck or a van within 24 to 48 hours. If you are pacing your skip on public land, you will also need a skip hire permit. These are issued by local council authorities, and their prices may range from £12 to £60. Once your bin gets filled, you will need to inform your skip provider and request for a collection. They will arrive and drive away with your skip attached to their truck. Afterwards, skip hire companies get it recycled or dump them at landfills. Lately in the UK, more and more people are facing problems with various skip hire companies. People these days hastily order and pay advance to small unlicensed skip services. As a result, they are left with filled-up skips which no one wants to collect from them. Another common dilemma that they may face is the regular busting of skip hire companies. Many skip hire services seem to be going into liquidation on a regular basis. This often leaves citizens with loaded skips that seem to be moving nowhere. This happens because the costs of disposing waste to the landfill seem to be steadily on the rise. This increase turns out expensive for the companies which pick up huge amounts of waste each day. To rid themselves of the expenses, many small companies pile the garbage in their yards, in an attempt to save the disposal money. That’s where the active Environment Agencies come into action. They shut down the business operations of such companies that use inefficient waste processing methods. If you are facing a serious issue in disposing off your trash because your skip company is busted, you can take the following actions to get rid of the waste. The first thing that you should do is repeatedly contact your skip provider and give them a period of seven days to remove your waste. Deliver written and recorded messages to the company, telling them about the charges they will have to pay per day for their storage. This happens if the skip is removed by another company as it will be recovered through a small claims court. If you find the liquidator which is appointed to the skip company, you can also contact them, saying you will charge them a rental fee if they do not remove the debris immediately. 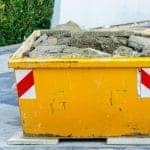 If you want to go for the same process again, you would have to be sure to check the authenticity, along with the licence of the next skip hire company before booking them. If you want to go for a solution which is an alternative to hiring skip services, there are two options that you can choose from. When your waste is not of a huge amount, you can get rid of it by using skip bags. These bags are available in a number of shapes and sizes, starting from 1 to 5 yards. You can find these bags in a number of hardware stores, and they are also available online. Once filled, you can have the bags removed by using a grab lorry. These are more easy to use as compared to skip trucks as they are more accessible. You will be more than surprised to know that hiring a garbage removal team is way better than opting for any skip company. These services are best to use especially when you know your waste has already been generated and just needs disposing. Construction companies are often seen hiring rubbish removal teams to take the waste away. Additionally, there is a size advantage of these services. They don’t collect skip according to the skip size. So you won’t have to worry about the estimation of the skip size beforehand. These removal teams gather waste from your location and load it straight to their truck or van, asking you to just pay for the junk removed. When facing issues with your loaded skip, another way to get help is by contacting your local council services. Each county usually has services (which are often free of cost), which assist people during the collection of waste. You will need to call them and inform them about your situation. If you have a skip permit, you can show it to them explaining about the skip services you were refused. With these steps, you should surely be able to tackle a scenario where your skip hire company has gone bust.